Just in time for Easter! 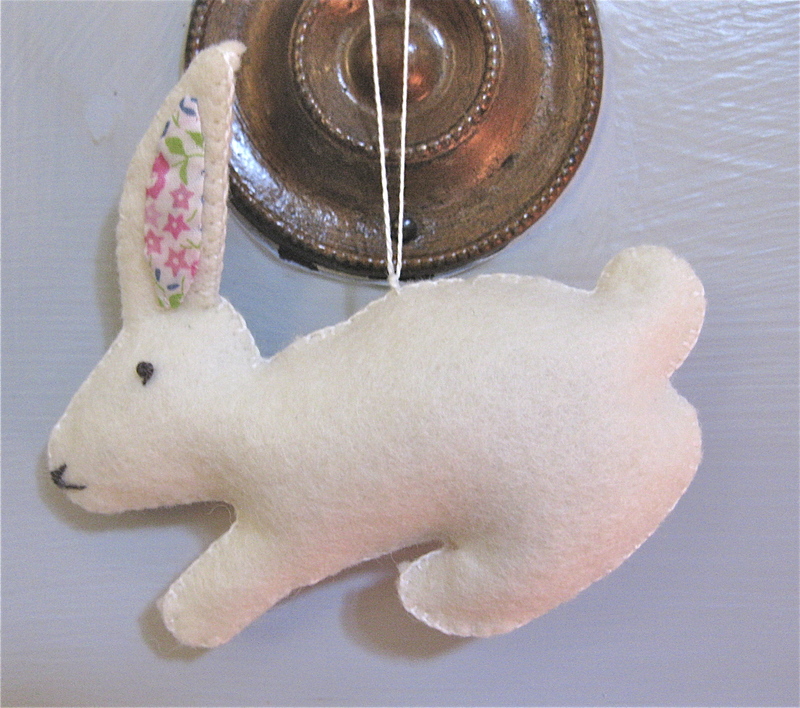 This little felt bunny is perfect for your Easter trimmings or a super cute addition to an Easter basket. With minimal supplies and basic sewing skills you can make one, two, or a whole litter of these cuties. A complete pattern with bunny templates is attached to this post. Let me show you how easy these are to make! 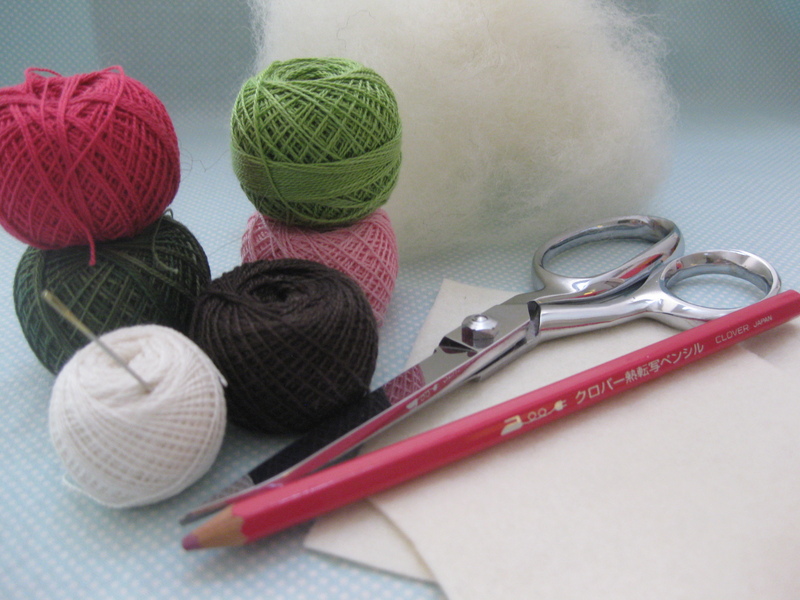 Here is what you’ll need: wool felt, embroidery thread, stuffing, and some basic sewing tools. 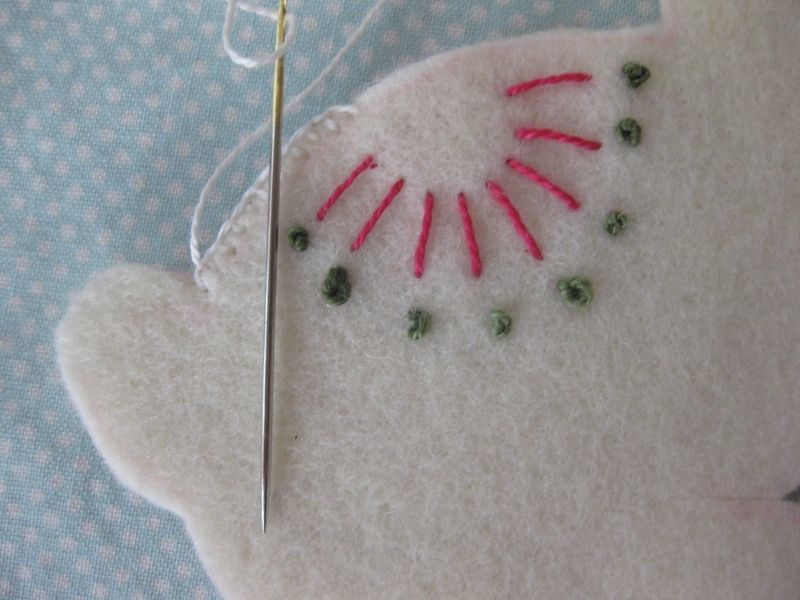 First, you transfer the pattern to the felt using a transfer pencil. Draw the transfer outline outside the pattern lines and then cut the bunny just inside the transfer lines. (See below that I did not do this, so my bunny has a slightly pink edge.) Also, make the lines as light as you can. I recommend testing your transfer line on a little scrap of felt. 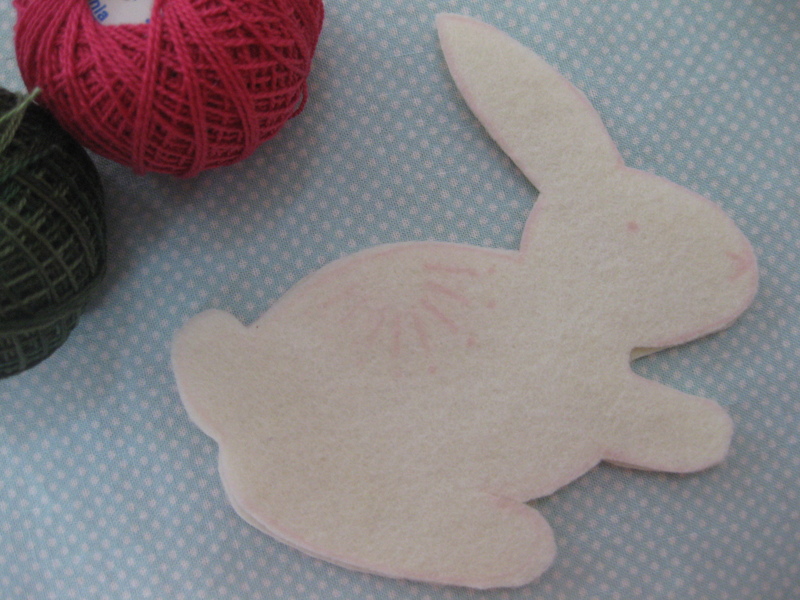 Then, cut out two bunnies and embroider the pattern on each one. 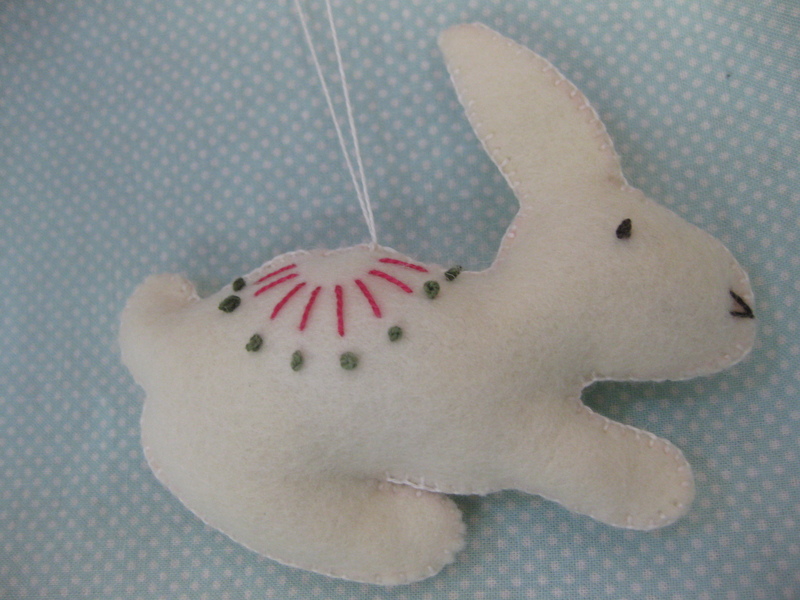 After you embroider the pattern, just blanket stitch the two bunny pieces together. Leave a one-inch gap so you can add your stuffing. 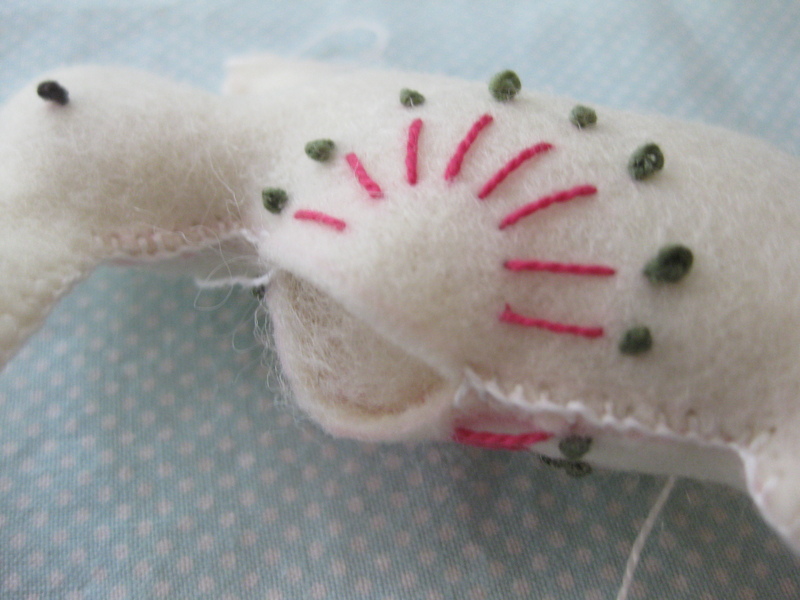 Then, close the gap using the same blanket stitch. And here is your cute bunny. Click the link for the complete instructions with the pattern pieces.